Supervised Word Sense Disambiguation: pros and cons. Vector representation of context. Main supervised disambiguation paradigms: decision trees, neural networks, instance-based learning, Support Vector Machines. Unsupervised Word Sense Disambiguation: Word Sense Induction. Context-based clustering. 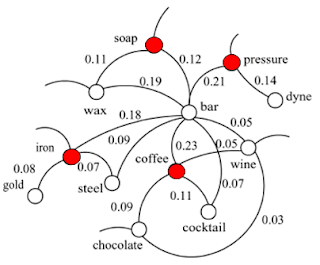 Co-occurrence graphs: curvature clustering, HyperLex.